Hello my friends! Did you get to hop yesterday? There were some pretty fabulous projects on the Creative Team blogs, I know I was inspired! If you missed it, click here to start. Also be sure to follow us on social media, we do lots of posts and live streams that are always a ton of fun! Get ready for another day of inspiration. Peruse, be inspired, hop, comment and then be sure to come back tomorrow to do it again!!! 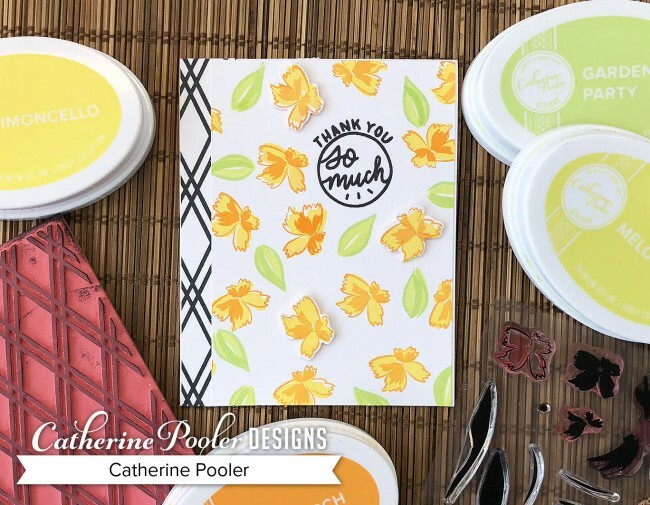 This card was made with the Wonderful Wildflowers stamp set with Limoncello and Tiki Torch ink for the flowers and Melon Ice and Garden Party ink for the leaves. I have to be honest…I love the look of the three popped up flowers on this card, but that came about by accident. Can you guess how? I messed up when I stamped one of the flowers and I was almost done with the card and didn't want to start over. Soooo…die cut flowers, 3 of them placed around the card, saved the day! How fun is this Thank You So Much stamp? 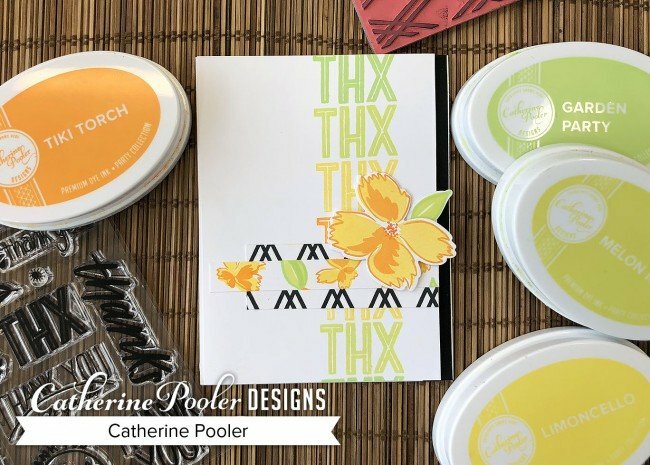 I love it combined with the BFF Background stamped in black on the edge of the card. I stamped a whole 1/4 sheet of cardstock with the BFF Background Stamp and have been cutting it and using small bits of it on tons of different cards. I love how it looks! 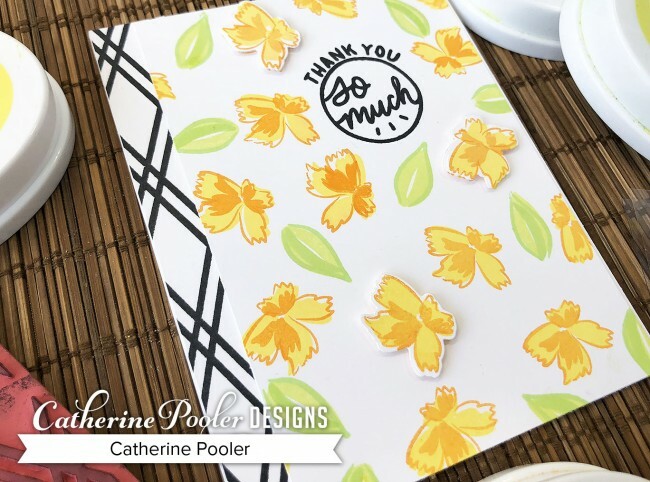 The next card uses the Wonderful Wildflower Stamp Set and A Note of Thanks Stamp set and that amazing BFF Background just peeking out behind the strip of yellow flowers. I was left with a little strip of flowers when I trimmed the first card down. When I saw it laying on my desk, I thought, HEY! That would look AWESOME with a strip of BFF Background! Luckily, I had that laying on my desk as well! 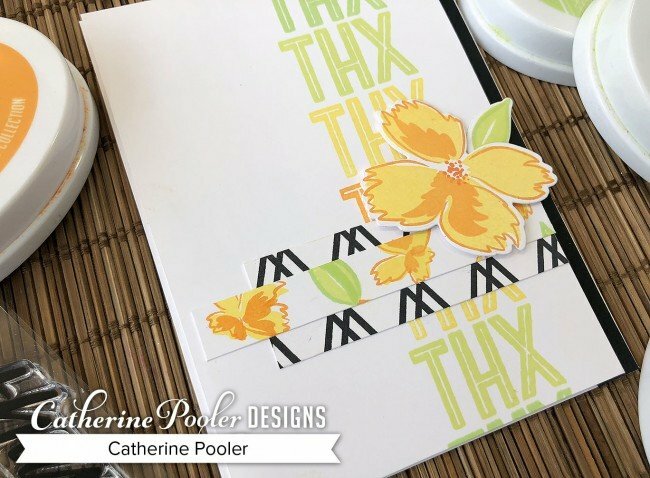 A few THX stamped in the same colors as the flowers and I had everything I needed for this fun card. I hope you enjoyed my projects today, I sure loved making them! There is a ton of inspiration waiting on the Creative Team Blogs. Be sure to comment for your chance to win some prizes and have fun! Kelly Martin – go here next!